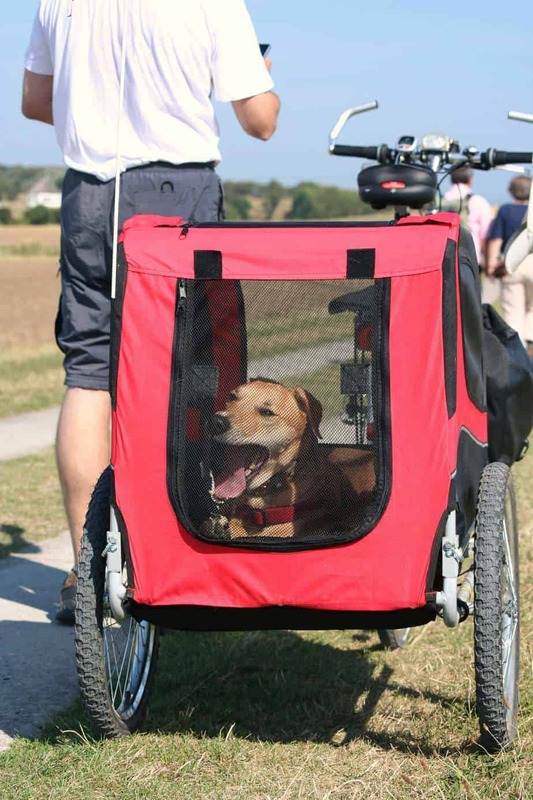 The idea of biking with your dog sounds weird, doesn’t it? It’s not impossible though; it is actually really interesting and adventurous. Though it comes with some obligations and challenges, it is a lot of fun. You get to enjoy quality time with your dog and also enjoy nature. If you chose to go biking with your dog, you’ll likely do it either because you have no one to take care of your furry friend or because you don’t want to leave your pup behind. Either way, here are some tips for a successful trip biking with your dog. This is the most important thing here. 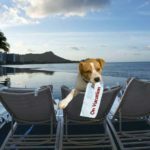 You don’t want your dog to get sick along the way, do you? Before embarking on the journey, visit the vet to get your dog checked. 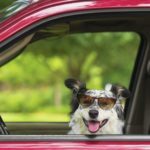 The vet will fill out the necessary documents to verify that he approves your furry friend for travel. Also, take your dog to a few different places to see its reaction. This will help you identify if your dog is adventurous or not. If you’re traveling outside the country, get the necessary travel documents. Get your hound vaccinated. Depending on where you plan to travel, research the type of carriers that will best suit the terrain. There are several companies that make dog carriers. Look them up and select one that fits in your budget and the terrain where you’ll be traveling. You also need to consider your dog’s weight. If the dog is just a puppy, a small basket will do. Puppies should also be taken for rides, it’s healthy for them. After purchasing your ideal carrier have it fixed on your bike. The trailer is obviously new to your hound and it will take some time before getting used to it. Place him/her in the trailer and throw in some toys to make sure that your dog is comfortable. You can also feed him as he sits in the trailer. Push him around the house and let him get used to it. This will ensure that he won’t disturb you during the trip. Before you set out, do some research on the place you’ll be visiting. Your research should help you find accommodation since it’s all hotels will accommodate your friend. If you plan to camp, find out if the place is secure and if there are wild animals that may attack your dog. Find out if there is a veterinarian around just in case your dog gets ill along the way and there are no places to buy dog food. While on the trip, it’s healthy to let the dog out of the trailer and allow him to run alongside you. Do this in a place where there is no traffic to avoid any accidents. Running will also help your hound to stretch and breath in some fresh air. The distance that your furry friend should run depends on age and weight. Take care not to exhaust the dog, he might get sick. Allow your dog to enjoy the hike. 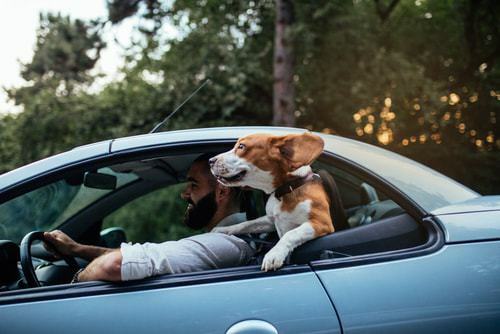 If traveling for a long distance, it’s good for both you and your pet to get a lift along the way. It gives you time to stretch and relax. It’s also a good chance for both of you to eat. Getting a lift will also save you time. Therefore, the journey seems shorter. A packing list ensures that you don’t forget anything. Pack enough food for the dog, its favorite blanket and several toys. If camping, a warmer may be very useful. Carry enough toiletries for you and your friend. Also, include a toolbox and a first aid kit. 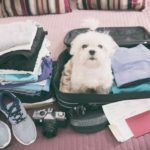 Despite the hardships, traveling with your pet will also give you a sense of security. You also don’t need to worry about someone mistreating him. Dogs are a great source of companionship and they make your journey less lonely. Rachel Burns is an animal lover and journalist based in Dallas. She’s currently an editor of AllPetsExpert.com, a website that helps pet owners learn more about animal behaviors, their training, health, food and more!